Posted on December 3, 2018 | 1767 views | Topic : Featured, Home & Living, News & Articles, Property News. The past two years has seen the world being filled with turmoil and unrest; the sense of uncertainty around the globe had prompted people to close their door for inner retreats and emotional energy replenishment. However, after a period of self-adjustment and recharge, moving on to 2019, the market sentiment finally feels the lightness and shows a sense of spiritual awakening. People around the world are now ready to reopen their windows to experience a renewed sense of positive energy. 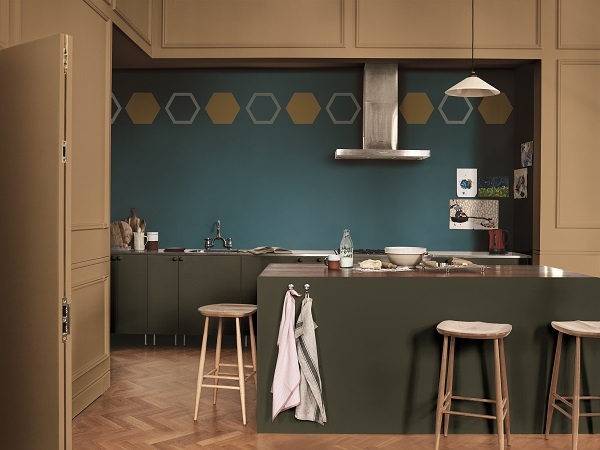 To capture the mood of the moment described as “let the light in”, paint company AkzoNobel announced the amber tone “Spiced Honey” as their Colour of the Year 2019. Spiced Honey is warm, earthy, and clear enough to let the light pass. It reflects a sign of optimism and the desires to take action, reach out and engage with others to make things better. Besides the main colour, the AkzoNobel Global Aesthetic Centre also identified four sets of complementary palettes with different moods. Read to discover how the Spiced Honey will work from room to room, throughout your home. With so many news sources, both real and fake, often we get confused about who to believe in when information clashes. In such situations, we need to be strong, stable and firm in order to distinguish right from wrong and to overcome the adversity. The Spiced Honey mixed with the earthy hues forms an elegant yet solemn atmosphere. This warm and earthy palette modestly brings us back to the ground; gently calms us down to rethink what really matters to us. The colour palette is suitable to imply at spaces where we need high concentration and self-communication, to work, read or brainstorm for ideas. The intense daily routine forces us to remain highly alert and anxious most of the time. Hence, these pastel colours paired with Spiced Honey to create a sense of stillness and silence, will provide a sweet and serene environment to destress. This mood allows us to take time out from the serious concerns of our adult lives, and spend time to revisit our inner child, dare to be playful and experience wonders. 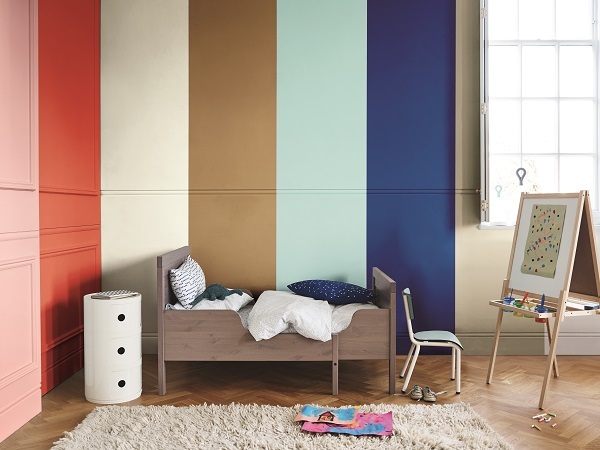 The Spiced Honey adds a sense of depth to the light pastel colours — making it sophisticated, yet fun for all ages! 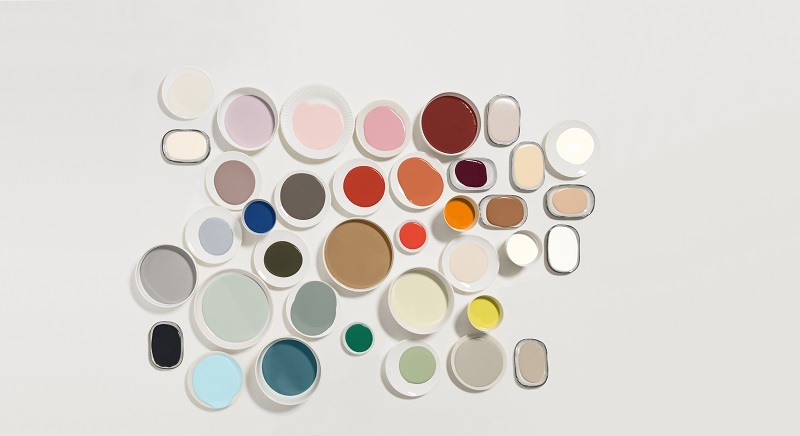 AkzoNobel colour trend research highlighted that isolation and loneliness are the silent epidemics of our time which negatively impact on our wellbeing. 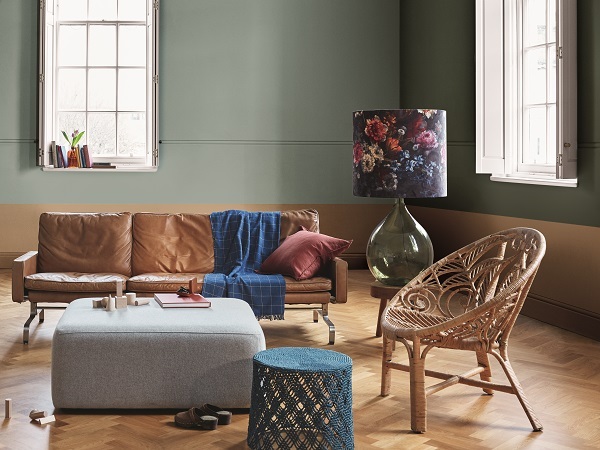 This palette is a combination of the rich pigmented shades including deep forest green, bold teal and terracotta red; it is tempered by Spiced Honey to evoke a sense of belonging, intimacy and security. Pair the palette with natural woods and cosy knits to create an inviting “open house” that radiates warmth. Imagine immersing yourself in the warm colours, let it wrap you in an embrace and encourage you to take positive steps in relationship bonding — no matter with family, friends or community. There is a growing sign of spiritual awakening all around the world, where we see people rejuvenated, want to be involved and ready to take action. The positive and proactive mood among the young generation show their courage to take a stand on social issues and dare to make differences to this world. This palette exhibits bright and vivid colours indicating energetic and brave spirits to create a space that inspires action; while the Spiced Honey balances the invigorating tones for a warm and inviting atmosphere. It is versatile to mix and match with different materials — be it reclaimed furniture, traditional piece or eclectic style — to truly reflect the personality of the user. Bold and brave, yet fun and uncomplicated; a home is a supporting base to let the creativity fly!